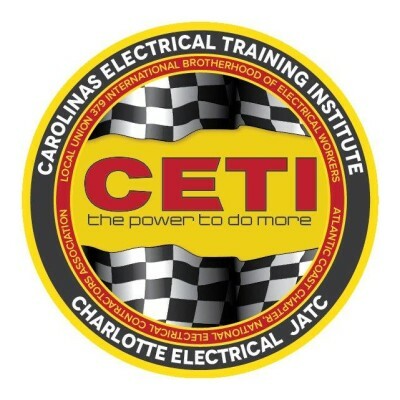 For me, the Carolinas Electrical Training Institute Apprenticeship program has been a chance to change my life. An opportunity to put myself in position to have a promising career. Although the opportunity was a gift, the rewards have been earned. By staying committed, I have gained knowledge of the electrical trade that has helped me gain respect on the job-site. "The apprenticeship has been a chance for me to pursue a new career in a new field. Without it, I would never have had this chance!" The Carolinas Electrical Training Apprenticeship program provides not only the skills and knowledge to succeed in an electrical career, but also the confidence to rise to the challenge of leadership. It is a journey requiring personal motivation and long-term dedication; its rewards are the freedom of choice, the freedom to forge your own future. CETI is a pathway to opportunity, an opportunity for excellence.